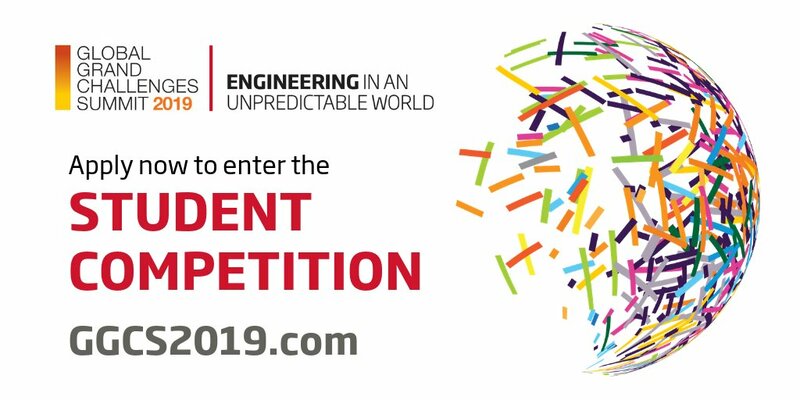 The Royal Academy of Engineering invites university teams to participate in the Global Grand Challenges Summit Competition 2019. This is a programme of challenge-led innovation, design and business development, culminating in the opportunity for teams to attend a Collaboration Lab event and the Global Grand Challenges Summit in London, UK. While this does not need to be a fully-fledged start-up business, we are looking for a rigorous entrepreneurial and design approach which shows that the teams have moved beyond an initial idea or technology concept. The innovation must be viable with a clear route to growth and sustained impact, though does not need to be a profit-making entity. UK Competition: The Royal Academy of Engineering will shortlist twenty teams to take part in a two-day interactive workshop in April, facilitated by a delivery partner. On this occasion, students will acquire the knowledge and tools to work independently and develop focused design solutions to global challenges – related to the Global Grand Challenges Summit 2019 theme – leading to a competition showcase hosted by the Academy in June 2019, when five winning teams will be appointed. Further details on the UK Competition and how to apply are available here. For more information, visit GGCS 2019.